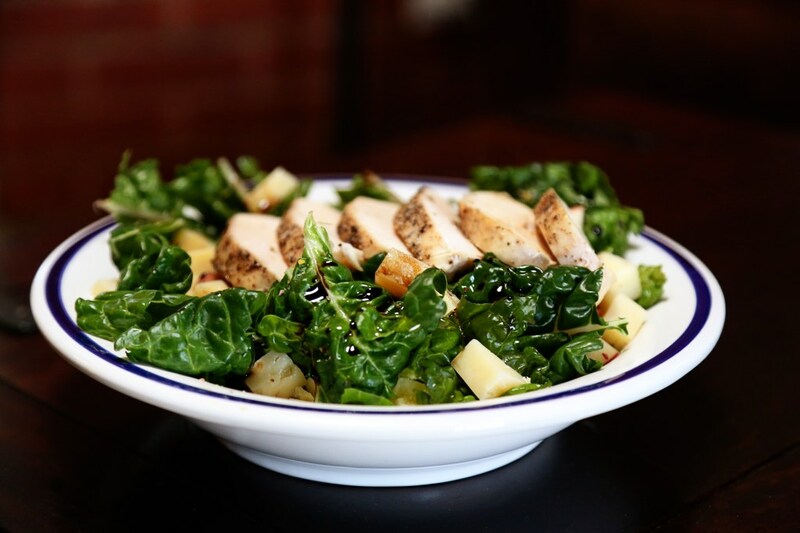 Swiss Chard Salad worthy of lunch and dinner! 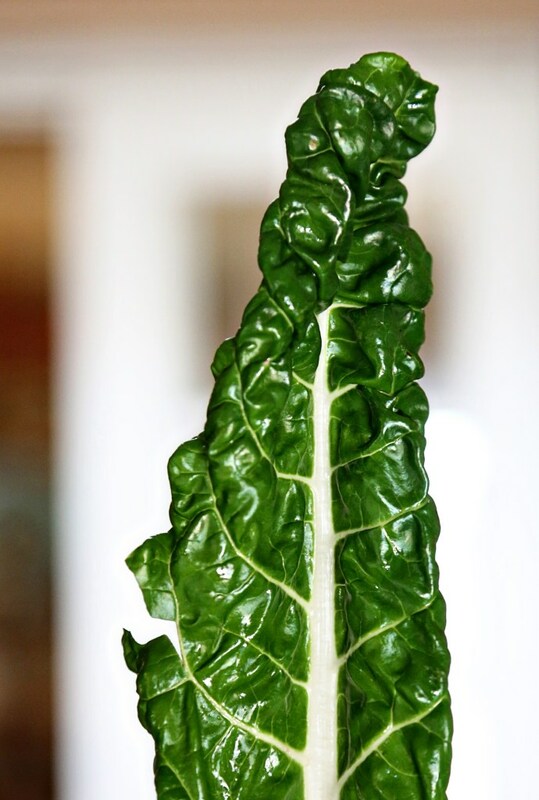 This simple Swiss chard recipe was one I made last Monday. I told Matt, “If we want to have it again, I’ll write a post about it” and not only did we have it again the next day for lunch, I wanted to have it a third time, but held back only because I had other meals planned. It was that good. I found that this type isn’t bitter at all, which as most of you know, greens in general tend to have a bitter bite to them. Many find that appealing, but despite my best efforts to get past the bitterness, I tend to add more and more bacon to greens that are TOO bitter, and that’s a bit counter productive to a week of trying to eat well. So now you know what to look for to build this lovely meal. The original recipe called for blue cheese instead of Parmesan, but I had parm on hand, so that’s what I used and I really loved the way the nuttiness of it went with the apples and chicken. I think any cheese would be fantastic. Season the chicken breasts with salt and pepper and brush them lightly with olive oil. Place the chicken breasts in a shallow baking dish and bake until the internal temp registers 170F on an instant read thermometer, about 20 minutes (we use the ThermaPen and it’s awesome and quick.) Transfer the chicken to a cutting board to rest for 5 minutes or so. Meanwhile, combine the Swiss chard, apple, cheese and pistachios in a large bowl. Whisk together the olive oil, balsamic vinegar and salt and pepper in a small bowl. Cut your chicken breasts into bite sized pieces, or shred it using two forks. Add the chicken to the chard mixture and toss to combine; the chard leaves will soften a bit from the heat of the chicken, but this adds to the comfort of the meal, in my opinion. Add the vinaigrette and toss again to combine. Divide the salad among four shallow bowls and serve. This entry was posted in Healthy Meals. Bookmark the permalink. I am so touched that you like the book and took the time to write this post! Cheers! Oh, Wini – you have no idea how much I love your cookbook. And we own EVERY cookbook you can possibly imagine and this is the first I’ve made this many recipes back to back! I’m on week two of cooking every single meal we eat out of it. Last night was the trout with mushroom saffron cream. Amazing! My husband said last week, “Maybe you just got lucky picking out the best recipes last week” ha! But I have a feeling they’re all going to be great! I’m excited to do your version of a chicken pot pie for my little one year old for her “baby food” this week. Thank you again, so much! Thanks! And regarding the chicken pot pie, you may want to leave out the Cognac for the bébé (but obviously you know that!). And whatever you do, don’t use more Cognac than called for. A friend of mine thought if a little was good, a lot would be better, and it ended up way too boozy! So glad you enjoyed it! Go buy that cookbook!